Slack is a workplace collaboration tool that has grown exponentially and many companies use it to facilitate communication. Imagine if you wanted to receive a Slack message when you receive a new survey response. Well, you can! 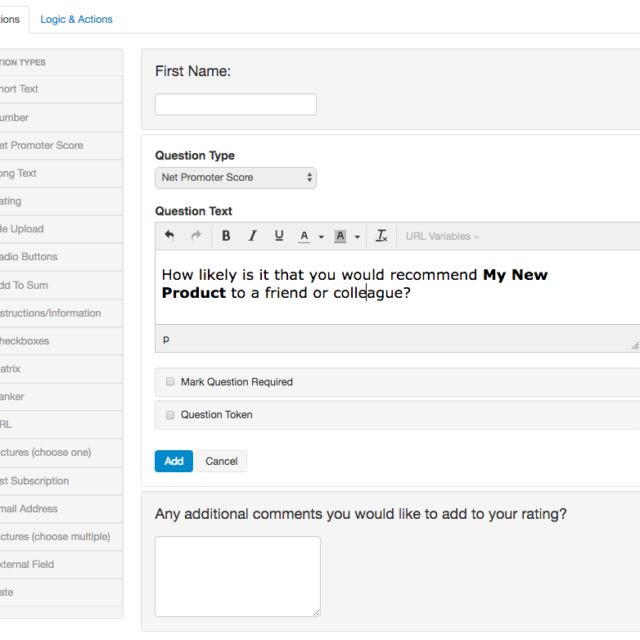 For example you could use this feature to alert support team members to new responses to Net Promoter Score (NPS). 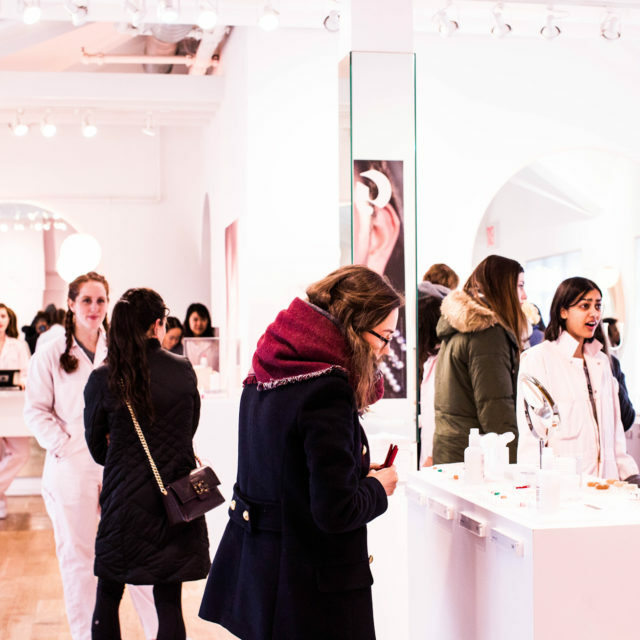 Or you could alert team members when someone has filled out a survey describing their experience or preferences. 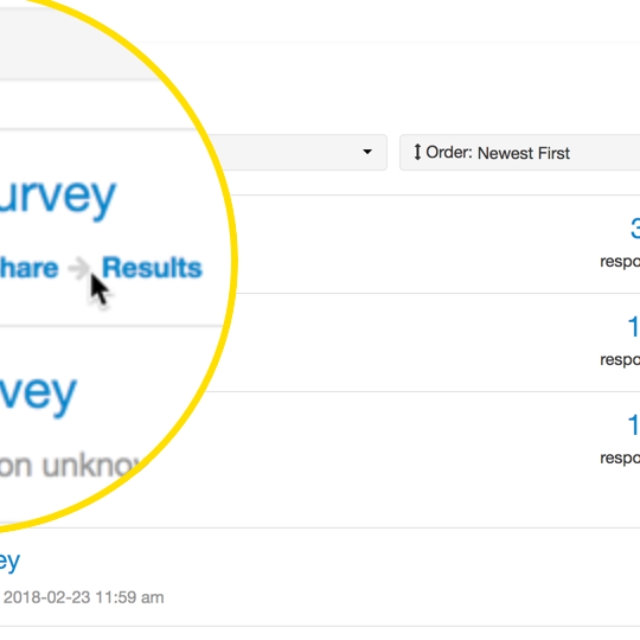 Using Zapier, you can create an automatic slack message after you receive a survey response in SurveyTown. Its fun and easy to setup. Login to Zapier and connect SurveyTown account. Go to Connected Accounts, search for SurveyTown. It will ask you for your API key. Grab your API key from SurveyTown and copy and paste it into Zapier. Login to Zapier account. Go to Connect Acounts and search for Slack. The connection process involves giving permission for Zapier to be able to post messages to your Slack (among other things). Step 3 – Setup a Zap! 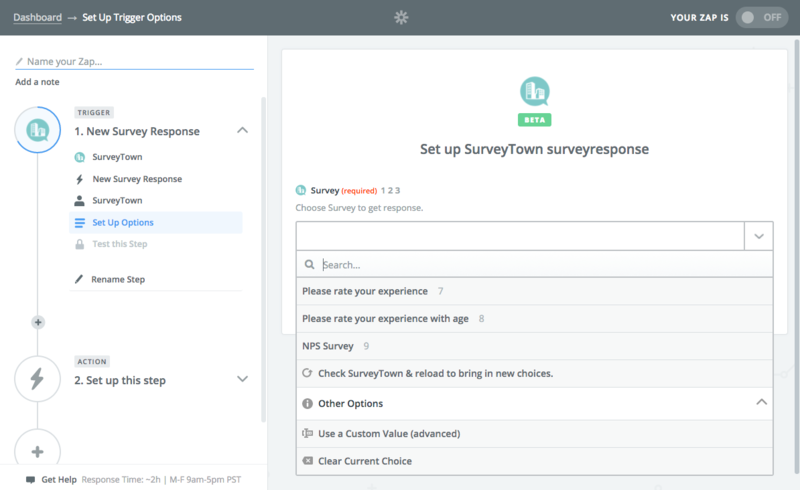 This step is to create the connection between SurveyTown and Slack. This involves setting up the trigger and the action. So we want a new survey response to create a message in Slack. 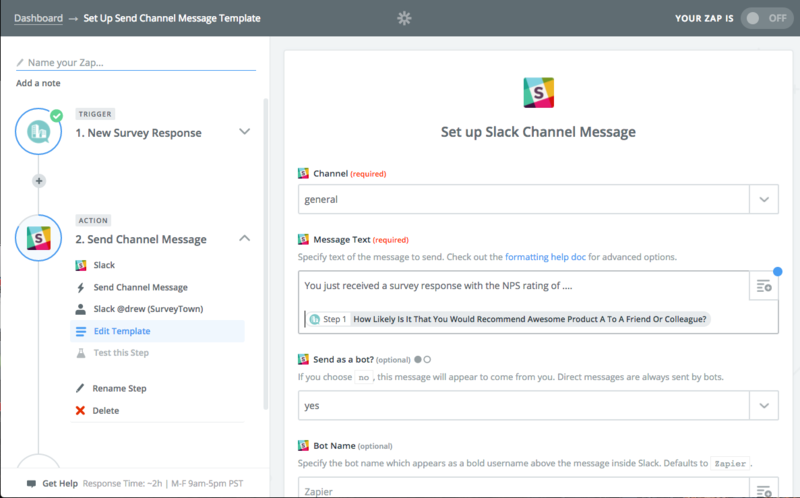 So the trigger is the survey response and the action is the posting of the message to Slack. Next you setup the action which is posting the message in Slack. When you set up the action you will have the option to choose to post to Slack a “Direct” message or a “Channel” message. If you choose a “Direct” message you will need to choose you to send the message to and if you choose “Channel” which channel you will send the message to. You will then write in the message you want sent. You can also add into the message a question response. 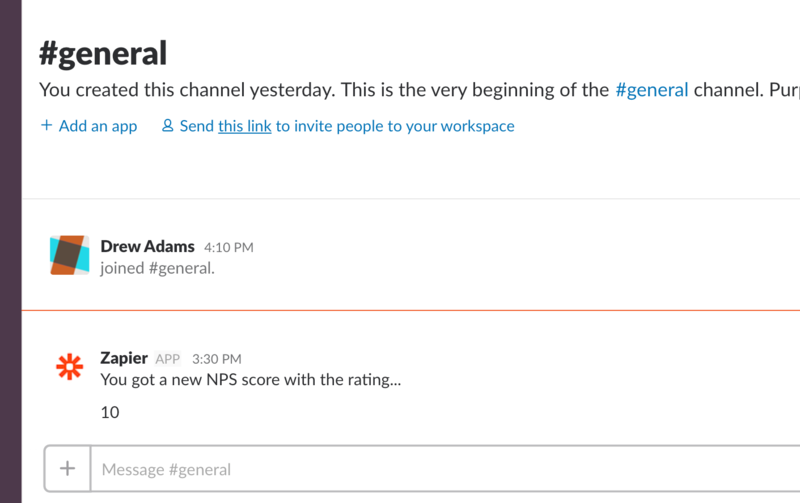 So for example you can write in the NPS score you just received into the message. From there you follow the steps, press “Finish”, name your Zap and then activate it. Your Zaps will run automatically but if you want to submit a survey response and see it in Slack, you can force a Zap to run by going to the dashboard and clicking “Run”. Here’s a full demo of the SurveyTown <> Slack setup.